Davina Wright, Mom to 4 year old triplets, opened up about her breastfeeding journey awhile back. you can read that one (HERE). I have since stayed in contact with her and saw a post she made about their first day of school. She said they have not fully weaned yet and I was dying to hear about how they did at school. One thing I hear a ton of when people find out a mom is “still” breastfeeding at age 2 or 3 or even 4 plus is, “Well what about when they go to school? How does that work?” A lot of people have a misconception about natural term breastfeeding. Just because a 4 year old still breastfeeds, it doesn’t mean said child or children breastfeed 20 times a day like when they were babies. At 4, their main diet would be solids and breastfeeding would mainly be about comfort. Granted, they are still receiving all that fabulous nutrition as well. Check out how these 4 year old triplets who are “still” breastfeeding did at school away from mom! At 4 years and 3 months old, my triplets have started pre-school. Just 2 days a week, for 3-4 hours a day…a short amount of time, in preparation for ‘big’ school in just under a years’ time. It has been a gradual and child-led transition. It took 3 weeks before they were happy to say ‘You can go now mama!’ But they are happy there, and they are independent, and they are thriving, and the thing I credit most for that is our secure attachment, our bond…enabled, in part, by breastfeeding. Yes, my school age children are breastfed…still. I’m not saying that you can’t have secure, attached, independent children if you don’t breastfeed this long, I am simply telling my story of how it works for me and my family and if I can support and inspire and encourage others then that is a huge bonus, and that is why I am STILL writing, about STILL breastfeeding. I have heard the nay-sayers since my triplets turned one, and I did a guest blog about our first year of breastfeeding. I have read every negative comment under the sun, and really there are only about 6 of them, slightly differently recycled each time but generally still the same. It doesn’t bother me, because I don’t know those random internet strangers, but I do know my children. Love them immensely in fact. And when I see them so full of happiness, so secure in their new world, so eager to rush off and learn and explore…I know I am doing the right thing by them, and that is all that matters to me. Maybe it’s because they are triplets, I don’t know, but they are still fiercely competitive for boobie, this is not something that is ‘all about me’, these three definitely still want to nurse, they would have it more often if they could, but we are pretty much down to just morning and before bedtime nursing. So there is no worrying about ‘what if they want it at school?’, that just doesn’t come up. Likewise, the other children aren’t about to ‘bully’ them for being breastfed, because they don’t know…probably are too young to care even if they did. Another thing people often wonder about is ‘what if they remember being breastfed when they are older?’ Well I certainly hope they do remember it, because what they will remember is a wonderful closeness, a bonding, a moment in time with mama when all was right with their world. My trio can be running around being totally crazy and after 10 minutes of boobie will be sound asleep, THAT’S how calming and relaxing it is, who wouldn’t want that, and why wouldn’t I want them to remember that? Let me say, when I get those comments about ‘why don’t you do this instead?’ or ‘why don’t you do that instead?’, I don’t breastfeed my kids INSTEAD OF all those things other parents do, breastfeeding is something I do AS WELL AS all those other things. They drink out of cups all day long AS WELL AS getting a breastfeed in the morning…they get stories before bed AS WELL AS nursing to sleep…they get cuddles when they hurt themselves AS WELL AS the opportunity to breastfeed if they want that comfort. Breastfeeding to natural term isn’t about a ‘lack’ of parenting skills, it is totally an extra parenting tool and one that works very well in our situation. In the early days when the triplets were newborns, breastfeeding was basically a full time job, with cluster feeding and growth spurts I could be doing 30-40 nursing sessions a day! Most days I got nothing else done at all. But now a nursing session is fairly quick, only twice a day, and really just a time to connect with each of them one on one. Of course we connect in many other ways too, but usually that is as a ‘group’, even cuddles seem to become a group thing! Nursing is an extra something that bonds us. The morning session seems to centre them ready for the rest of their day (much like many adults need their coffee! ), and the night time session sends them right off to sleep. The bottom line is that breastfeeding still works well for my family, my kids still want it and I see no reason to arbitrarily ‘cut them off’. When I look at my children I see that it is perfectly possible to have independent, well-adjusted, happy little (school aged) people who ‘still’ have nursing as part of their lives. I am not telling anyone else they should do this, I am sharing my story to support others who are already doing this, to be an inspiration for others who may want to do this, and to educate anyone who has a wish to learn. 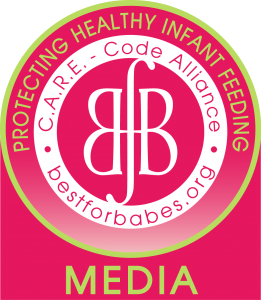 ← How Much Do You Really Support Breastfeeding? Take This Quiz & See!